1. 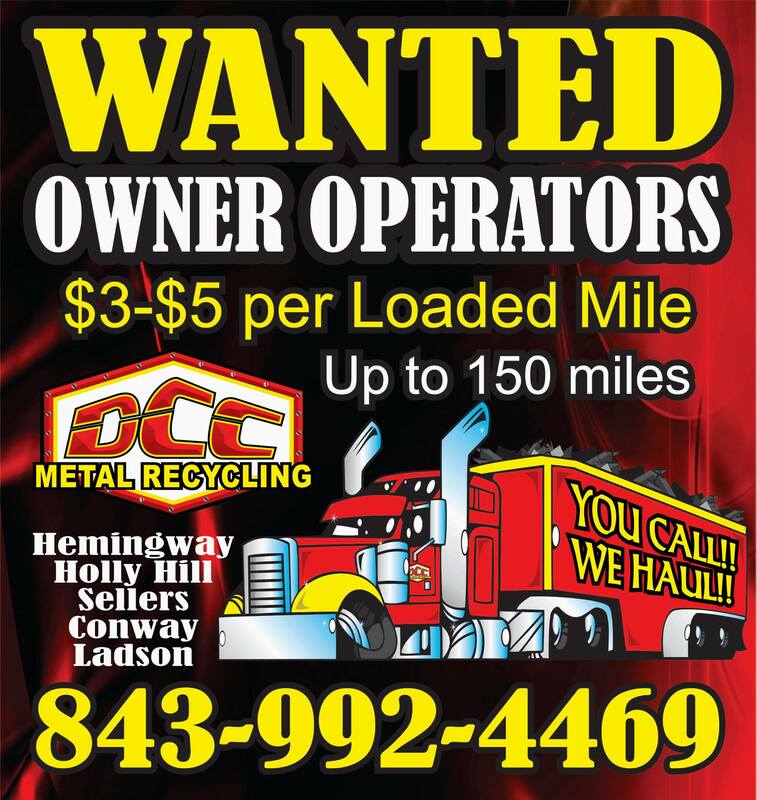 Manage and supervise the complete DCC operation at Sellers, SC including but not limited to administration, human resources, the purchasing of metal scrap for processing in Hemingway or Holly Hill, the purchasing of cars for the “pick-a-parts’ operation, the transfer of materials via truck as directed to Hemingway or Holly Hill, the sale of automobile/truck parts to the general public, the safeguarding from theft or other loss of all DCC assets (inventory/operations equipment/office equipment & software, building facility, etc. ), the upkeep and maintenance of all equipment utilized in the operation including the building. 2. Responsible for recruiting, hiring and retention, and the frontline supervision of all location employees. Included in the duties is providing corporate payroll with the approved pay rate, W-4s, I9s, copy of standard employment application, various insurance related forms. On a daily basis, employees hours including overtime, vacation, or holiday are to be approved in collaboration with the corporate payroll department. Approve pay increases are to be submitted to the payroll department from time to time. 3. Responsible for periodic performance evaluations for each employee. 4. Responsible for expanding the customer base for scrap purchasing and the “pan business” including but not limited to the solicitation of prospective customers via “cold-calling”, the identification of companies for “pan placement”, cultivating customers through any means, etc. 5. Responsible for the maintaining of various administrative records including but not limited to the DAILY LOCATION ACTIVITY REPORT. 6. Responsible for the implementation of company policies and procedures. 7. Responsible for the safety of the work environment. Duties also include preparing workmen’s compensation accident claim reports when appropriate and coordinating with the Operations Manager for claim management. The Senior Bookkeeper in the Accounting Department is also to be notified for entry into the OSHA log. 9. Other duties as may be assigned.